LEGO Star Wars 3: The Clone Wars and Sega Vintage Collection: Monster World also offered for Xbox 360. Microsoft has announced the free games that Xbox Live Gold subscribers will be getting in September as part of its Games With Gold program. These include both Xbox One titles and Xbox 360 games which are backwards compatible. 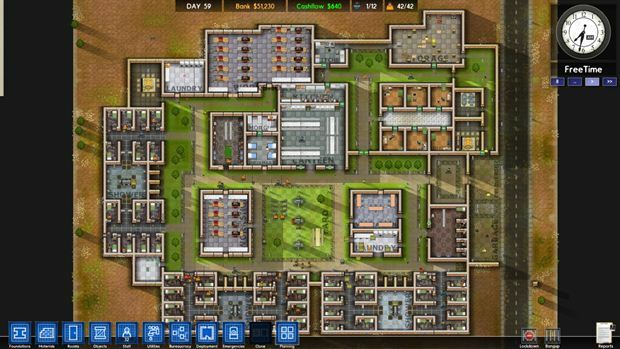 The Xbox One offerings include Prison Architect and Livelock. The former will be available through the next month, but Livelock can only be download from September 16th onwards. After that, it will be available until October 15th. As for Xbox 360, there’s LEGO Star Wars 3: The Clone Wars, which will be available from September 1st to September 15th. From September 16th to September 30th, subscribers can download the Sega Vintage Collection: Monster World. This actually includes three titles – Wonder Boy in Monster Land (Monster World), Wonder Boy in Monster World (aka Wonder Boy 5: Monster World 3) and Monster World 4. Those new to Xbox Live Gold and Xbox Game Pass can still pick up each for $2 – they’ll also receive an additional month for both services free.